I like photography, and I shared my photos through my blog – www.szeping.com since 2007 (though I don’t really have time to maintain it when more priorities came into my life). Through words of mouth and consistent blog entries, I picked up some requests to photograph weddings and events since 2008. The passion and skills constantly grow throughout the years from dozens of wedding and some corporates or special interest events, which strengthen my belief to be a photojournalist with unique perspective. Happiness come in pairs. 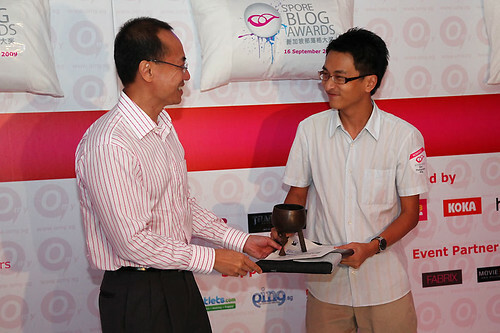 With the blessings from Lady Luck, I’ve became the Best Photography Blogger in Singapore (OMY Singapore Blogawards) and Malaysia (Mybloggercon Blog Award) in both Year 2009 and 2010. Since then, I grew in the industry at a faster pace and established my reputation as one of the young and talented photographer in Singapore and Malaysia. Then, I had been invited as the panel judge for photography blog in the prestigious Singapore Blog Awards (http://sgblogawards.omy.sg/2011/about/judge.html), and had numerous chances to help several countries’ tourism board to capture the magnificent landscapes for them to promote tourism. My famous works of the beauty of New Zealand had been published in a few big publications and had received amazing feedbacks – My album in xinMSN Travel. So to speak, I’m familiar with recording a scene in a unique way, even during the first visit. This greatly helps in oversea Pre-Wedding Bridal shoot, especially in New Zealand. Nevertheless, I’ve came to a new horizon to partner with Wee Sien on this 10eyesgallery, which embarks a fresh beginning for 2 passionate photographers with distinctive journalistic styles. Now I strongly believe that 1+1 will definitely be more than 2. P/S : Please drop us an email at info@10eyesGallery.com (instead of leaving a comment here) if you are interested to engage me as your wedding photographer, with the AD date, thanks! Love your photos Sze Ping! I will like to engage you as my photographer, please let me know your rate and availability on 18th Oct 2012. Hi, can you send me the AD rate for 12th Dec?